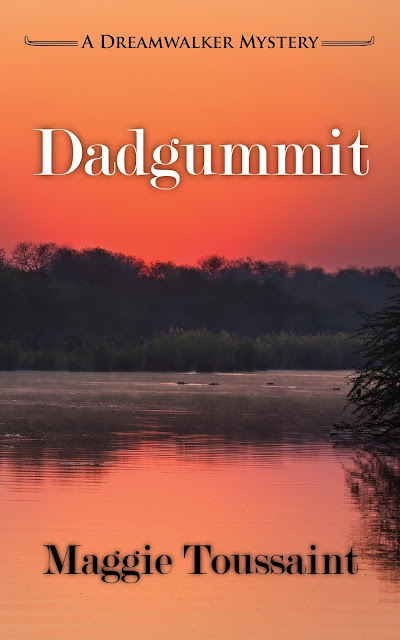 I just read an amazing book recently, y'all — Dadgummit by Maggie Toussaint. Let me tell you a little about it. Dadgummit,y'all, Dadgummit is such a wild, exhilarating, and thrilling ride! I was drawn into Baxley's world from the first chapter, and there I stayed until the very last page. I'm impressed by the complexity of the mystery in Dadgummit. In addition to consulting about the victim by the lake and the halfway house comatose patients, Baxley helps with murder cold cases — and all this during what was supposed to be her vacation. There's just so much going on! Author Maggie Toussaint introduces some new characters in Dadgummit, and includes some returning characters. Deputy Sam Mayes is interesting, and a good counterbalance psychically to Baxley. Each one can learn a lot from the other. I hope to see more of Mayes in future books. Of the returning characters, Baxley's parents, daughter Larissa, and BFF Charlotte are her primary support system. Baxley soon finds herself depending on their aid and assistance during and after her paranormal activities. I was very glad that Oliver and Elvis were around, so they could also be helpful to Baxley. Dadgummit is un-put-down-able! Not that I'm complaining — I've been eager to read it ever since I finished Doggone It. I just love Baxley Powell and the Dreamwalker Mysteries! I can't wait for Book #5. Write faster, Maggie! 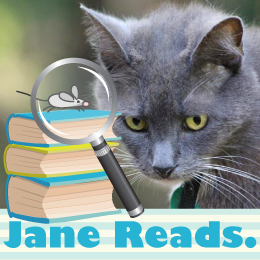 I absolutely love Dadgummit, and recommend it to all fans of paranormal cozy mysteries everywhere, especially those who like a touch of paranormal added in. I hereby bestow upon Dadgummit our highest rating of Five Kitties! Note: I voluntarily reviewed an Advance Reader Copy of Dadgummit. All opinions shared are 100% my own. Click here to read an excerpt of Dadgummit on Author Maggie Toussaint's website. Once I knew a man who had a dog with different colored eyes. One was brown, the other blue. Most people shied away from that pie-eyed dog. They made snide remarks about it. All because it was different, but I knew better. In first grade, a boy on my school bus, Joseph Green, had a birthmark on his face. It was a pretty good size, about two quarters’ worth and the deep dark color of red wine. The older boys on the bus called him Asia because his disfigurement was as big as a continent. Joseph ignored them for the most part, but he was nice to me, the other outcast. He listened as I jibber-jabbered about the seeds I was growing, the pie-eyed puppy I wanted. Though Joseph’s dad got another job that year and he moved far away I never forgot his kindness to me or his tolerance of other people’s intolerance. It became a goal of mine to be as nice as Joseph. Growing up in a family known for generations of dreamwalkers, I had instant notoriety. Other kids acted like I was highly contagious. If I happened to walk in their direction, they fled. Later in middle school, they turned their backs on me. It has never been easy to be a Nesbitt. My father, his mother, and her ancestors were all dreamwalkers. The talent runs stronger in our female line, or so the family folklore goes. I’ve met a few people with extrasensory talent through my family, and psychics often have one specialized sense. Hearing, for example, or touch. Some see visions. Dreamwalkers have a little bit of everything, but most especially they are known from traversing the Veil of Life. That’s right. Our spirit form can cross over to the Other Side. We often provide a message service from the living to the dead, and that’s normal for us. When I was in high school, boys used to joke that if they dated me, they could get good fishing advice from their dead granddads. To prove that I could be normal, I studied hard, got good grades, even tutored the high school quarterback. One boy in high school treated me like I was normal, and, oh, how I tried to fit into his world. I repressed my extra senses. I ignored those nudges I felt that weren’t of this world. Is it any wonder I fell in love with Roland Powell and married him? We had many years of love and best friendship, though he was often deployed. Powells, as I quickly learned, had long records of distinguished military service. I never knew if Roland was gung ho because he wanted to please his parents, or if he wanted to provide well for our small family, or if he flat out loved it. He advanced through the ranks, but there came a time when he didn’t come home. The military offered no explanation and declared him dead. His body did not get shipped home. Suddenly I was a widow and there was no place I’d rather be than home. Only home was different. The dreamwalker job had taken a toll on my father’s health, and I had no choice but to become the Dreamwalker. My long-suppressed powers flared to life, and I began helping people and consulting for the police. The work suited me, though I made plenty of mistakes. As summer wound down, and my ten year old daughter was on the brink of fourth grade, we decided to take a vacation. And guess what? My parents and my best girlfriend are coming too. It’ll be so much fun, and I’m hopeful there’ll be no dead bodies in the mountains. Maggie writes cozy mystery and romantic suspense under her own name, and science fiction under the pen name of Rigel Carson. She’s published seventeen novels as well as several short stories and novellas. The next book in her paranormal mystery series, Dadgummit, released August 1, 2017. 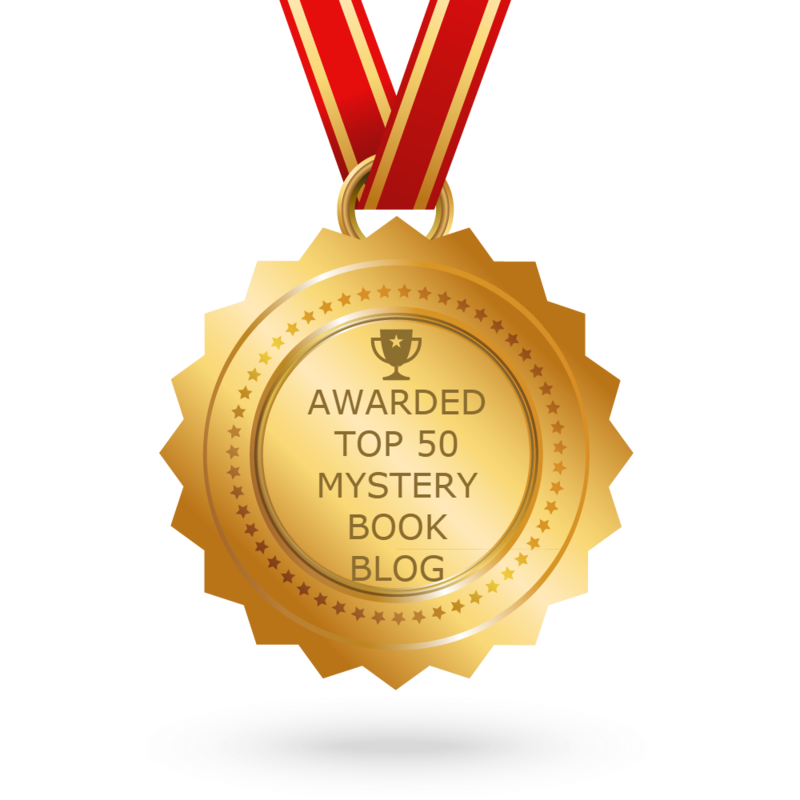 She won the Silver Falchion Award for Best Cozy/Traditional Mystery in 2014. Additionally, she won a National Readers’ Choice Award and an EPIC Award for Best Romantic Suspense. She was twice nominated for the Georgia Author of the Year Award and finaled in the Beacon and the Readers’ Crown Contest. Maggie serves on the national board for Mystery Writers of America, is President of Southeast Mystery Writers of America, and is Co-VP of Low Country Sisters In Crime. She lives in coastal Georgia, where secrets, heritage, and ancient oaks cast long shadows. to two randomly drawn winners via rafflecopter during the tour. Click Here To Find Details and Sign Up Today!